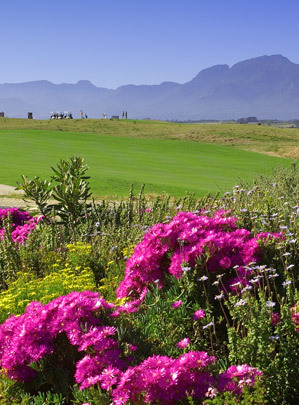 The Oubaai Golf Resort & Spa is an exclusive residential and resort development set in the heart of the spectacular Garden Route in Herolds Bay, South Africa. The development comprises of 450 residential units consisting of 128 Village apartments, 322 single residential properties and a 100 bedroom Hotel. The residential properties are scattered across the property adjacent to the golf course with the apartments being in the Village centre. 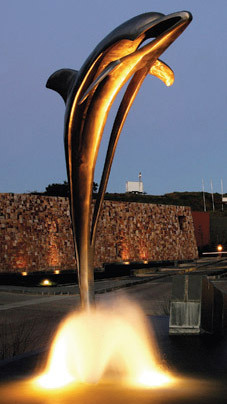 The golf course has been designed by the South African golfing superstar, Ernie Els and carries his official Signature. Oubaai is a beautiful piece of real estate. There are spectacular views of the Outeniqua Mountain Range, the picturesque Gwaing River with its sweeping valleys and spectacular mouth into the crashing waves of the Indian Ocean.